Since the first of the wives trying to find the secret to give satisfaction to her husband. Variety of ways and methods adopted and all kinds of herbal medicine to drink but not through the expected results. 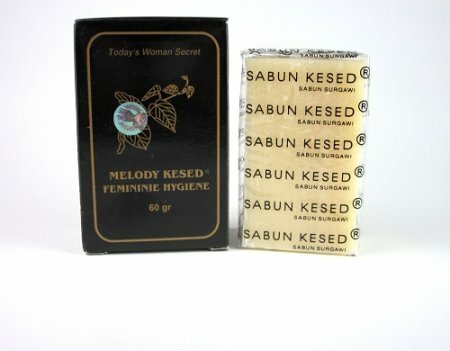 "Sabun Sari Melody Kesed" its made from traditional herbal, used by womens to give an satisfaction for their husband.. SInce a long time ago, a wife is always looking for the secret to this satisfaction. Many methode is done. Soaped at interior femininity flatten and hushed for a few minutes, rinsed last / to be washed until cleanness.. Caution: Women who are menstruating are forbidden to use soap.